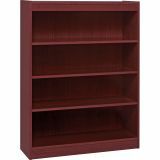 3 adjustable, sturdy shelves for books and more; 1 fixed shelf. 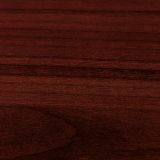 Lorell Panel End 4-Shelf Hardwood Veneer Bookcase - High-quality, veneer bookcase features a vintage square design. Solid, 3/4 thick shelves are adjustable on 1-3/4" centers with pinhole attachments, except for bottom shelf. 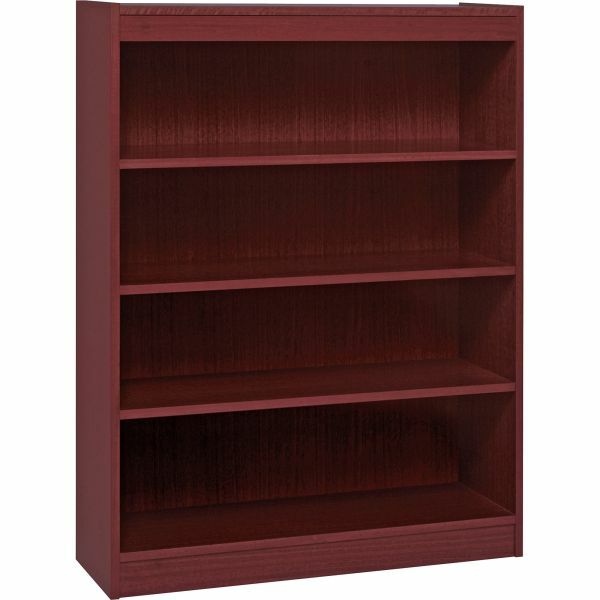 Four-shelf bookcase has a laminate finish on the back's interior and an unfinished back side. Each shelf holds up to 110 lb.